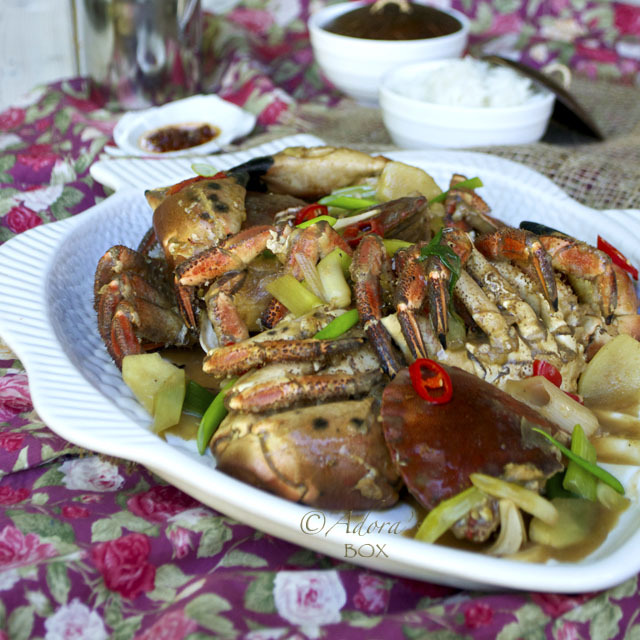 The beginning of the Chinese new year falls on the 3rd of February this year. 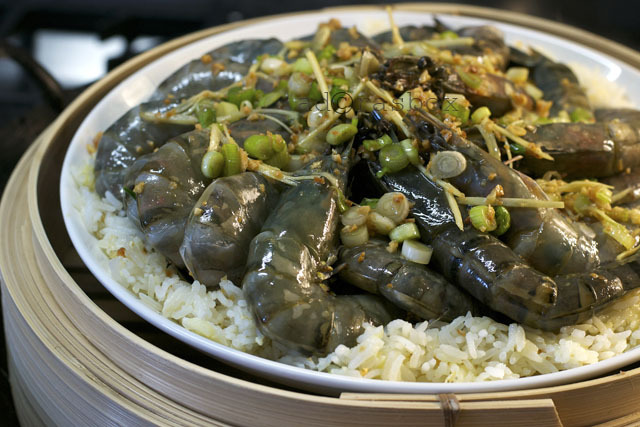 It is the year of the metal rabbit in the Chinese zodiac and is, as usual, welcomed with festive decorations, gift giving, firecrackers, family reunions and, of course, the all important food fest. It is believed that food has symbolism and eating them on events such as this will bring whatever good tidings they represent. 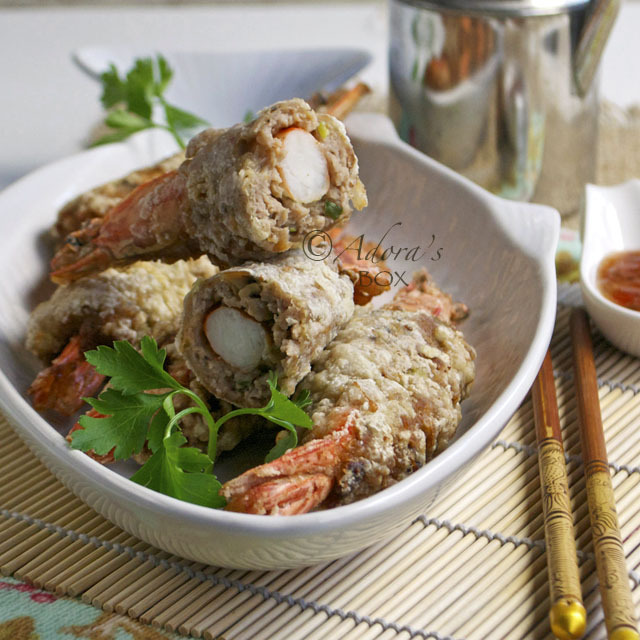 Prawns stand for liveliness and happiness. 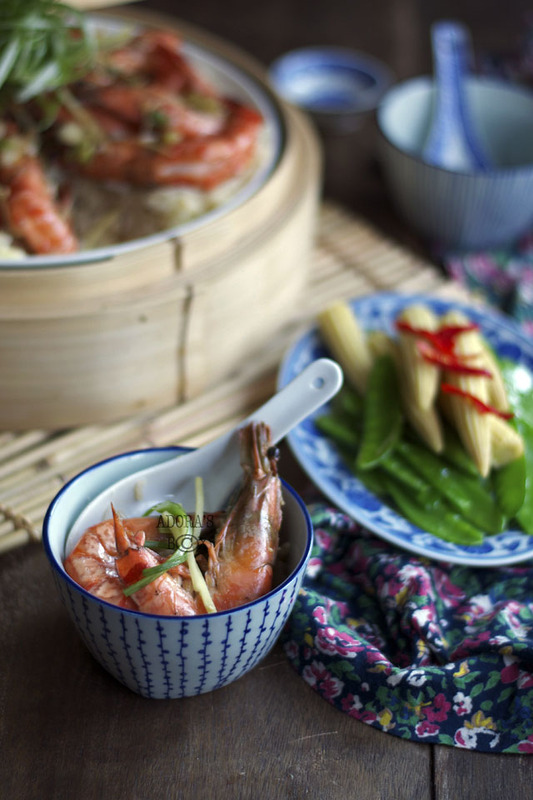 The Cantonese pronunciation for prawns is "ha", like laughter. It is often present in celebrations to bring joy, not just to the occasion, but for the days to come. 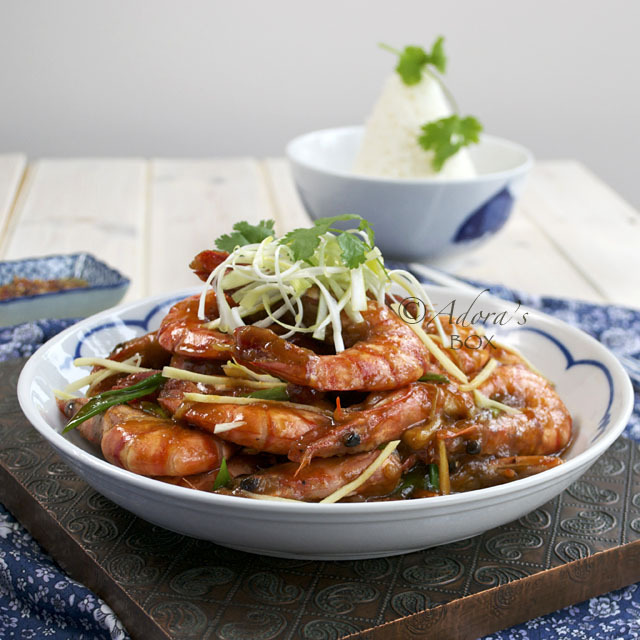 This recipe is a special prawn dish that is very easy to make but doesn't fall short on taste. 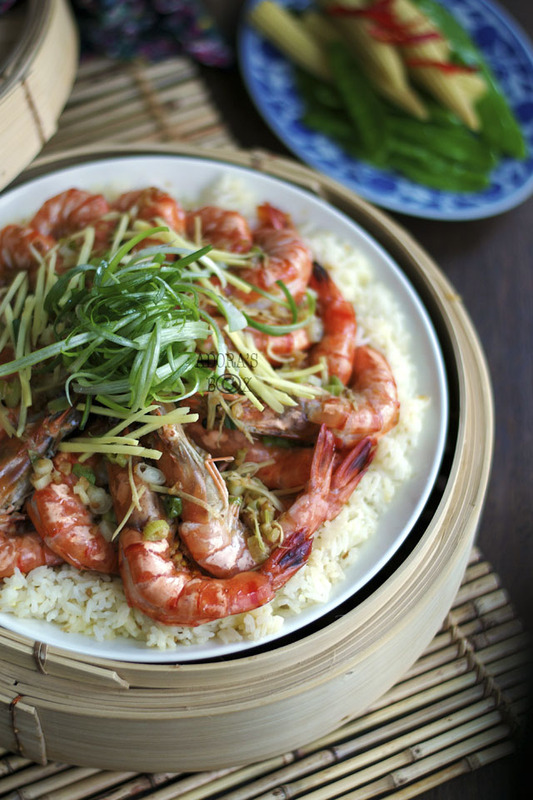 The prawns are seasoned with spring onions, ginger and fried garlic, then arranged on top of fried rice before steaming. 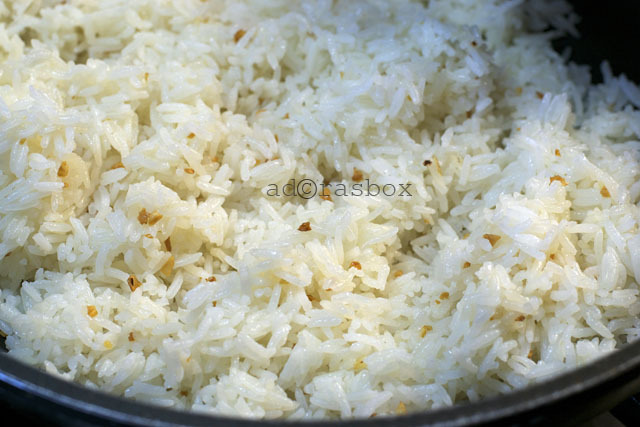 All the prawn juices and seasonings give extra flavour to the rice underneath. 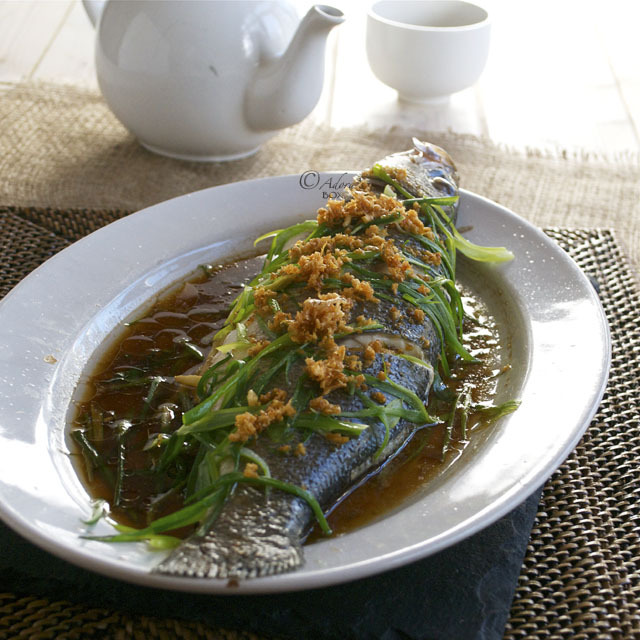 This dish is very simple and is ideal to prepare for Chinese new year, when it is customary for families to share a special meal featuring as many dishes as possible to ensure a prosperous year for everyone. Prepare and pre-heat the steamer. Fry 1 tbsp. of the garlic in 2 tbsps. of cooking oil. 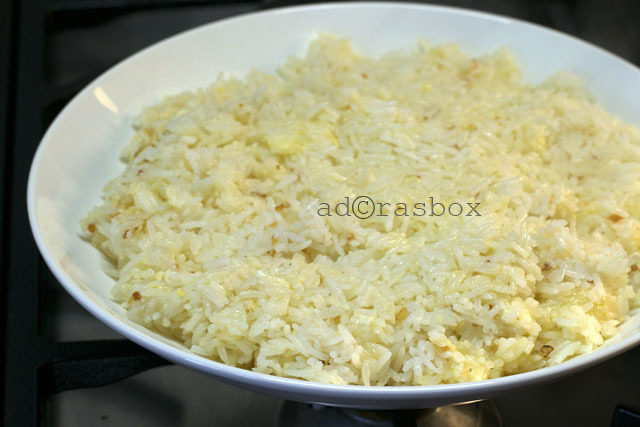 Add the eggs and stir to coat the rice. Transfer to a heat proof dish. Fry the rest of the garlic in 1 tbsp. of oil for 2 minutes or until it begins to colour. Do not let it brown. 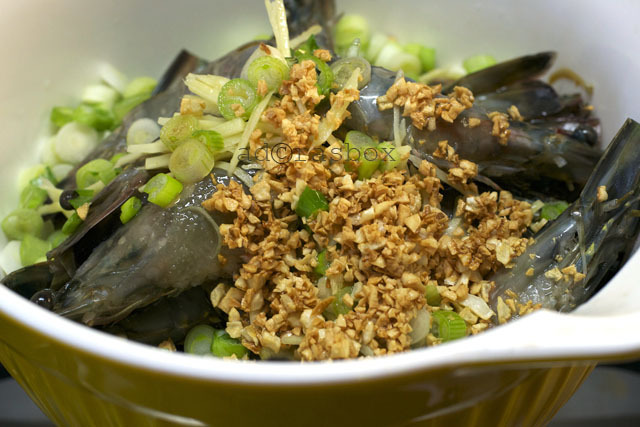 Transfer the garlic, including the oil, to a mixing bowl and add the rest of the ingredients. Mix well. 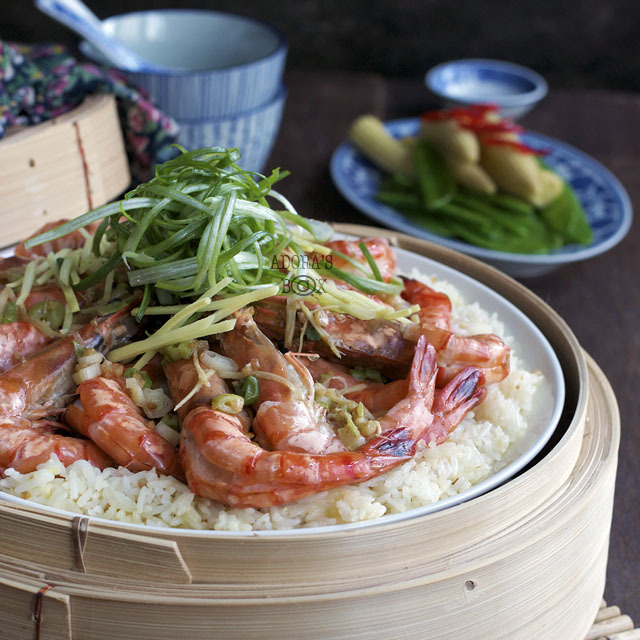 Arrange the prawns on top of the rice and pour the mixture on top of the prawns. Steam until cooked (about 15 minutes), or until all the prawns turn pink. Serve immediately. I'm enjoying all the goodies that come with Chinese New Year! I've already had my fill of pineapple tarts and almond cookies which are given out here in Singapore. Gong Xi Fa Cai, Adora. 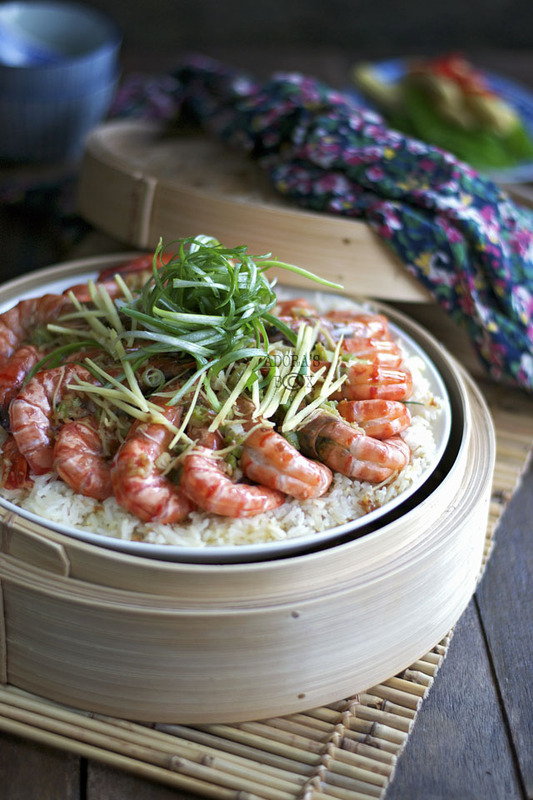 Love your yummy prawns and rice!